June’s life at home with her stepmother and stepsister is a dark one – and a secret one. Not even her father knows about it. She’s trapped like a butterfly in a net. But then she meets Blister, a boy in the woods. And in him, June recognises the tiniest glimmer of hope that perhaps she can find a way to fly far, far away from home and be free. Because every creature in this world deserves their freedom . . . but at what price? Paper Butterflies is an unforgettable read, perfect for fans of Lisa Williamson’s The Art of Being Normal, Jandy Nelson, Sarah Crossan and Louise O’Neill. I was originally sent a review proof copy of this book by the wonderful Maggie at Electric Monkey! This does not affect my review or my opinions in any way and am delighted to write an honest review. Thank you all for sending this to me to read! Since blogging I have met some wonderful lovely genuine people. One of those people is the lovely Lisa Heathfield author of this wonderful book! After bonding over twitter and meeting up in real life I can honestly say that I feel honoured and very proud to know Lisa. I think Lisa will agree that we became instant friends and I feel like I have known Lisa all my life! I feel very proud to be reviewing this book on my blog and my friendship with Lisa by no means affects my views and thoughts on the book in anyway. I hope my words speak for themselves about how wonderful this book really is! Sometimes a book comes along that makes a footprint on your memory and your heart for a long long time. Paper Butterflies is that book for me. It tore my heart completely and left me crying, thinking about the book and its characters long after finishing. An emotional tale of an abusive childhood, growing up, friendship, love, forgiveness and choosing left or right. It’s no secret that I was a huge huge fan of Lisa’s debut, Seed, and whilst Paper Butterflies is very different to Seed, Lisa’s writing has gone from strength to strength. Lisa has again captured my heart with her beautiful writing and characters that you care so much about and also characters that you loathe more than words can say. Paper Butterflies tells the heart-breaking story of June who following her Mother’s death years earlier and following her Father’s remarriage, is being physically and mentally abused by her step mother , Kathleen *rages*. The story is told from June’s perspective and split into Before and After in consecutive chapters. The Before chapters are her younger self telling us her story in that moment and we watch June grow and tell her story as each chapter is told. The After chapters are June looking back and reflecting on her life and particular moments of her life, trying to deal with everything and trying to make sense of her past. From the first couple of pages as you begin to realise what is happening to June your heart just breaks for her and you want to reach directly into the pages and help her, comfort her and protect her. 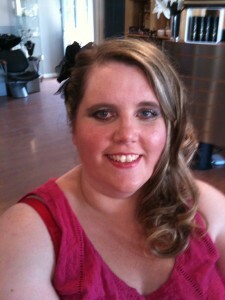 Lisa Heathfield is both sensitive about the subject matter but does not sugar coat anything at all. The abuse that June suffers is shocking as Lisa Heathfield does not hold back with her writing. One solace that June finds in the hell that she is living is a friendship with a boy called Blister. I adored Blister so much with all my heart. Very much a free spirit, and brilliant at creating items out of paper, June meets Blister at some old caravans in the middle of the woods and they soon become the best of friends. You see them grow up together on the page becoming closer and closer. June becomes herself and into her own when Blister is around. Blister’s family were the complete contrast to June’s and I loved them so much. They welcome June with open arms and make her feel welcome and like she is part of their family. There are so many beautiful scenes in this book, but one scene that sticks in my mind the most is a scene where June and Blister have to lay down in a trailer under some tarpaulin. It is the most intimate and beautiful moment between June and Blister and you feel June’s happiness shining off the page just in this one particular moment. It’s beautiful. I also loved the Paper Butterflies scene. If you have read it you know what scene I mean if you haven’t I don’t want to spoil it for you, but oh my heart! I think I may have had a slight crush on Blister. Lisa Heathfield makes it impossible not to connect with these characters emotionally. There’s also a character called Mickey in the After sections that I loved lots too. As the book goes on things escalate and escalate and as you see June grow. Then something comes along to strike her down again. Anyone who has read Seed will know that it’s not only Lisa’s writing that’s powerful but Lisa’s endings are just as powerful and will make any reader a huge hot blubbering mess of tears…..a bit like me after I finished reading this book. With a broken heart I was left with Paper Butterflies in my tummy! This story will stay with me for a very long time to come and never fails to bring tears to my eyes just thinking about it. I highly recommend this book with all of my heart. Go and read it and fall in love, laugh, cry and go and grab all of the people that you love and hold them tightly. 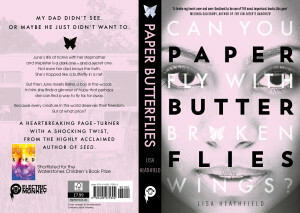 You can buy Paper Butterflies here or from you local bookshop! Watch the Paper Butterflies Trailer below! 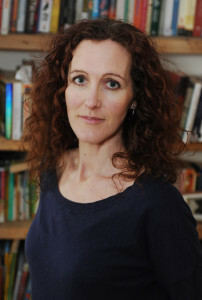 Lisa Heathfield is a former secondary school English teacher, specializing in working with hearing-impaired children. Seed was her debut novel and Paper Butterflies her second. She lives in Brighton, England, with her husband and three children. 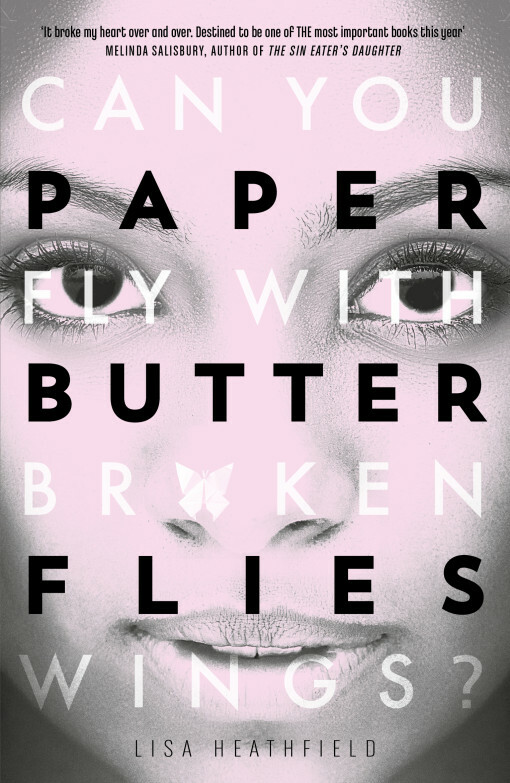 Have you read Paper Butterflies? What did you think? Has this review convinced you to pick up a copy and read? What do you think of the beautiful cover? I would love to hear from you! Why not leave a comment by clicking the reply button at the top of this page or tweet me on twitter using @chelleytoy ! This entry was posted in Contemporary, Review, UKYA, YA and tagged Contemporary, Lisa Heathfield, Paper Butterflies. Electric Monkey, Review, UKYA, YA on June 10, 2016 by Chelley Toy.